The first free bail bond calculator to help calculate the approximate cost of your bail bond. 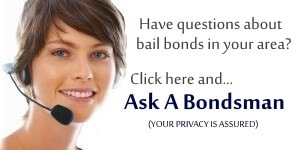 Enter the amount of the bond, or bonds, and you’ll see the approximate amount you’ll need to pay to get out of jail. We state approximate amount because each bond is different. You simply never know if the amount is correct or if there are other savings which can be applied. Did you know that bail bond payments are used not only to secure your freedom, but that other costs involved go to pay victims funds, local law enforcement funds and attorney fees? Using a bail bond calculator for Arkansas or New Jersey for example; you’ll notice that there are additional fees built into the bond. Depending on the area, some portions of the fees are collected for local and county divisions of the criminal process (regardless if you’re innocent or guilty).